As I continue to learn more about literacy and becoming a literacy leader I find that my learning will be never ending. I also realize that I need to start looking inside myself as a person and a leader as well. As much as I enjoy endlessly reading books about teaching literacy and becoming a coach I also realize that I need a brain break from it at times. 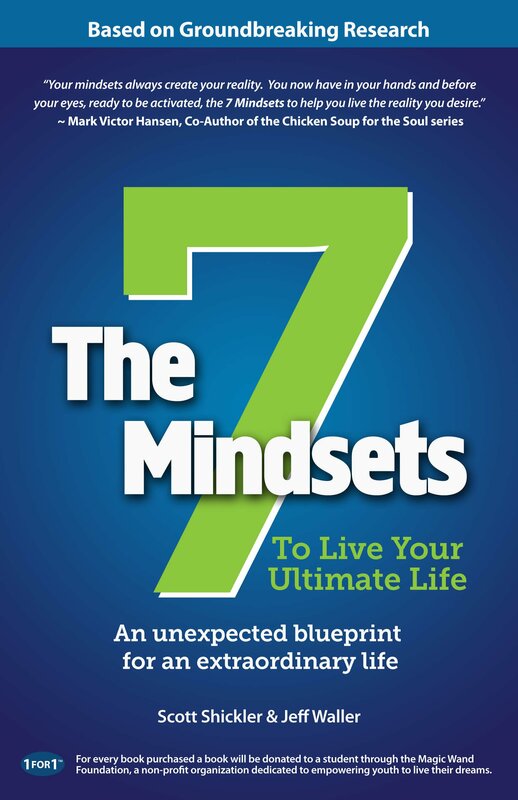 In order to satisfy my current brain break, I recently started reading The 7 Mindsets To Live Your Ultimate Life: An unexpected blueprint for an extraordinary life by Scott Shickler & Jeff Waller. I’m only a few chapters in but I’m enjoying it so far. The first thing I like about it is that it’s a quick read. It’s not a 500 page self help book. It’s a focused 100 some page book that doesn’t waste time on the fuzzy stuff. I know there are probably some critics out there but keep in mind that I have no false visions that this is the book that will turn my life around forever. I’m going about it with the attitude that if I can take one or two good things from it that will help change how I think and make me a better person/leader, I would be satisfied with the 100 page read. It would be even better if I can use some of it to help the students in my classroom as well. The authors claim that what they talk about can be used in any setting, including students in a classroom. I can say that they did their research. They had live interviews from many different successful people which ultimately led them to the seven commonalities that each of them had. The authors warn that each mindset goes much deeper than what is on the surface, but this gives you an idea of what you will read about. With that said, I’ll be getting back to my much needed brain break. What is your best brain break read? This looks like an awesome read! Thanks for sharing! I think every teacher has the potential to be an awesome leader. In fact, every teacher HAS to be an awesome leader. We lead students day in and day out. It is our job! I love reading about how to become a better leader both in and outside of the classroom setting. I will have to give this book a look! Thanks for the suggestion! I love the mindset that attitude it gratitude and that we are connected. it is easy to forget to be grateful for the things we have, and that even though we are all different, we are all the same too, and are connected in some way. Our actions can change how other people act, in a positive or negative way, and it is so important to be aware of that. Currently my ‘brain break’ books are more like ‘brain challenges’: logic problem books -I love working though the clues and figuring things out!